The iconic City of Lights has just treated me to a wonderful 3 days of shopping, sights and wandering the beautiful streets in what is undoubtedly one of my very favourite cities. 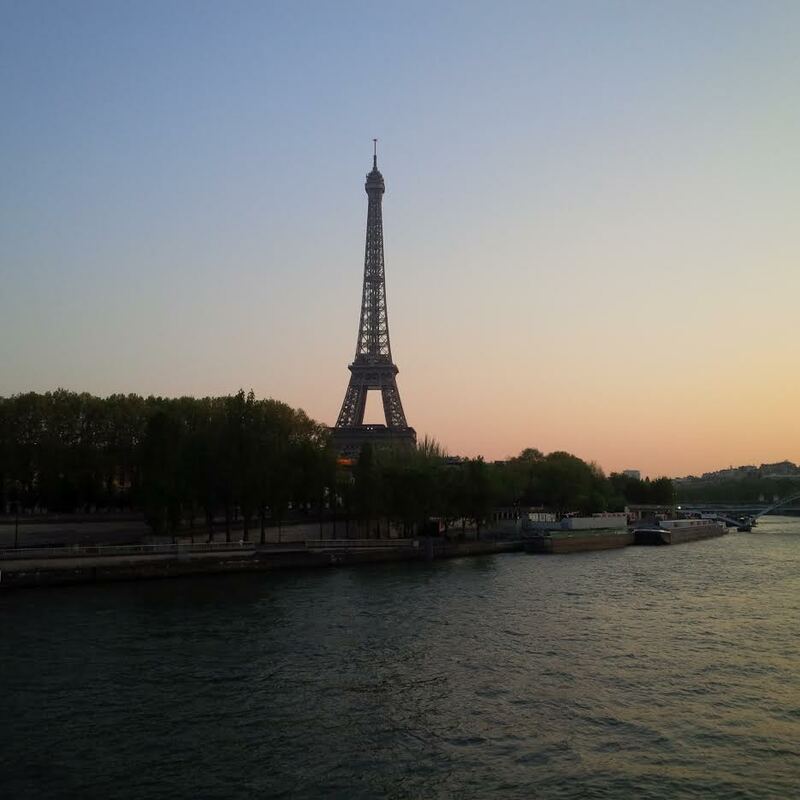 One of the many things I love about Paris in the spring/summer are the long dusk evenings which is such a contrast to those of us located closer to the equator. 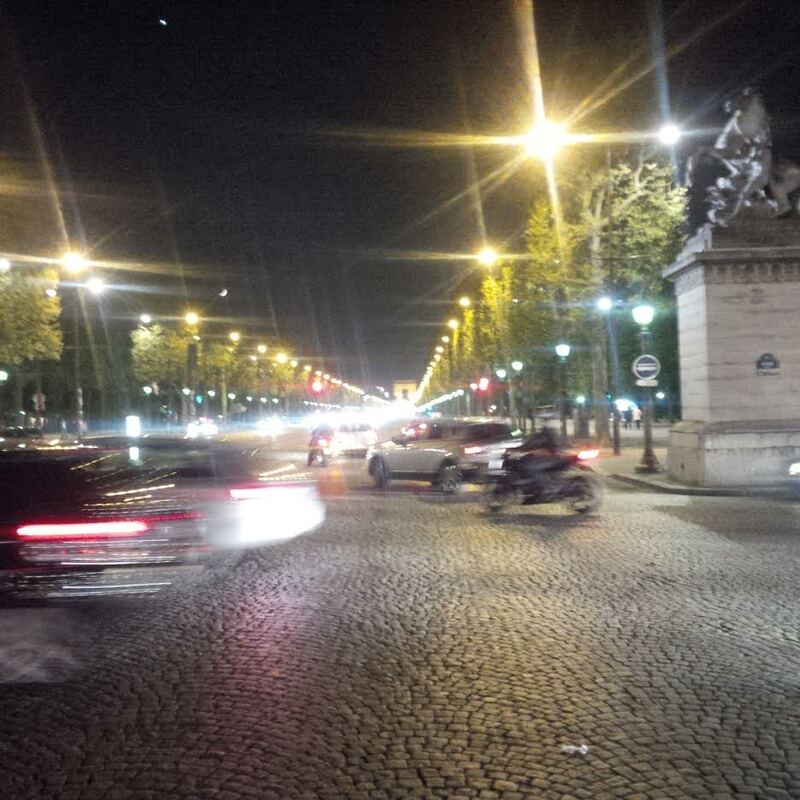 And those prolonged June through September Parisian twilights, means a late dinner outing has you arriving at your destination against crimson orange skies; dusk emerging fashionably late with the nightlife. And it won’t come as a huge surprise to any of you to hear that after dark this wonderful city provides ample opportunities to recharge and reflect on the day’s sport shopping with amazing victual experiences. Over the last 3 days I have experienced some sublime examples. So, I thought I would share a few of them with you to consider for when you are in la Ville Lumière. But first, let’s deal with a few stereotypes. Parisian service. Price. Yes, these are both elephants in the room for any discussion on dining in Paris. Yes, these both can be issues. The service can be, let’s say function at best and often bordering on unhelpful. Prices can be punchy. With the first, don’t let it get to you. Expect it, as sure as night follows day. In my experience a genuine effort first up at some poorly executed 4th form French, followed by a flutter of the lashes will win over all but the most disdainfully committed table attendant. If after that you sense continued snippy service, give it straight back. As for price. Well, like many things in life you do get what you pay for. My advice is, provided you are targeted in your menu selections and stay towards the top section of the wine list (if you are that way inclined), Parisian restaurant and bar prices are about on par with all other major cities. You are in Paris, after all. And for those of you reading from the Emirates, you will find it a peg or two cheaper. So, onto three prime examples of the most stylish eateries I experienced over the last few days. 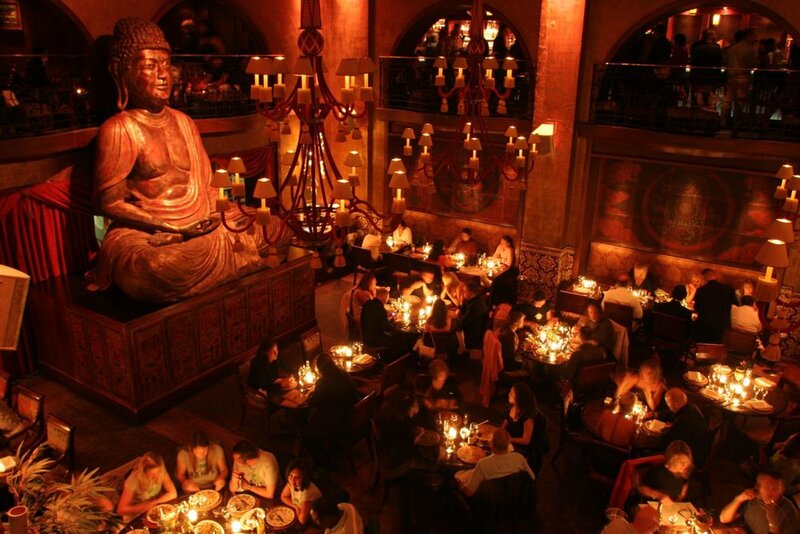 For the definition of cool try Buddha Bar restaurant located in the hotel of the same name. This world famous franchise started in Paris and is set on the right bank in the 8th arr., slap in the middle of in one of the city’s most exclusive neighborhoods. The entry to this slick, upscale restaurant is dramatic. 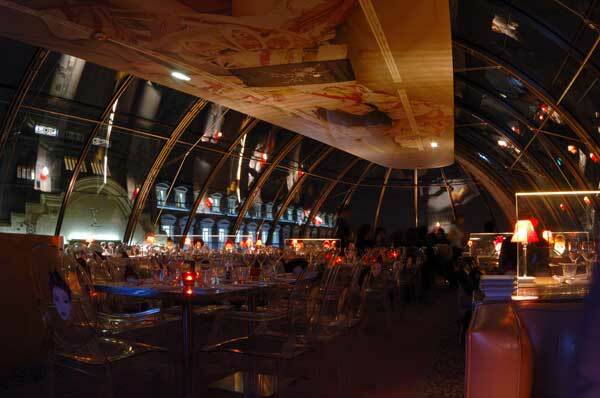 Upon arrival you are whisked down a long flight of stairs to your table located in a gladiatorial cauldron of dining; the participants seated at tables observed, as if they are in an amphitheater by those sitting in the upper level mezzanine seating and bar are above. The music is simply outstanding. We dined, late, on Thursday night. The superb house DJ was supplemented with a live saxophone player, layering over the top of the beats. It doesn’t get much better. Bookings are essential, and the further in advance the better. The cuisine is Asian fusion – sushi and Pacific rim. To be honest I don’t really like sushi; I was last seen eating white rice in the early 90s. But that didn’t matter one grain. This could have been a one-dish menu of frog’s legs and I would’ve been there loving it. This is a place which is all about people watching and getting immac. Dress code is casual but stylish; understated. 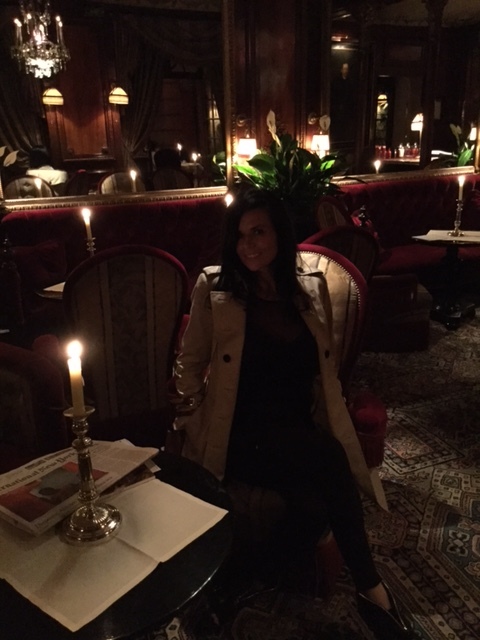 If you want to shift right up to top gear then the restaurant at the hôtel costes is the only way. Nestled amongst the boutiques in the 1st arr., this place is ideally located for day or night. The hotel and restaurant is famous and is something else. Absolute chic; it is a place to spot celebrities and fashionistas. The hotel, restaurant and bar all have an amazing atmosphere. It seems as if absolved of any sense of or respect for time. It is both seductive and pulsing whatever time of the day or night you go, which I guess is essential when a place is open 24/7. The décor is dramatic, dark and labyrinthine. Some guests secreted in corners quietly chatting among avant-garde surrounds; others and spread, on show, across the thronging terrace. Many of the guests and waitresses looks like models (present company excepted ;)) but there is also a good supply of people that look like they have an interesting story leaving you with ample opportunity to just sit there and fill in the gaps while you enjoy the food and drinks….what is that 24 year old guy doing with that 65 year old woman? Is he with him? Didn’t I see a picture of her falling out of a club in the latest edition of Closer? You know what I mean, don't you. Your arrival will have the maître d' greet you with fairly typical Parisian service. Head to the bar for a pre-dinner drink at Le Bar; the cocktails are perfectly executed. From there retire to your table, which, with any luck will be located on or close to the terrace. The service quickly warms, allowing you to sit back enjoy the excellent sounds and immerse yourself in the experience of being at this special place. The food is classic French, and consistently very good. 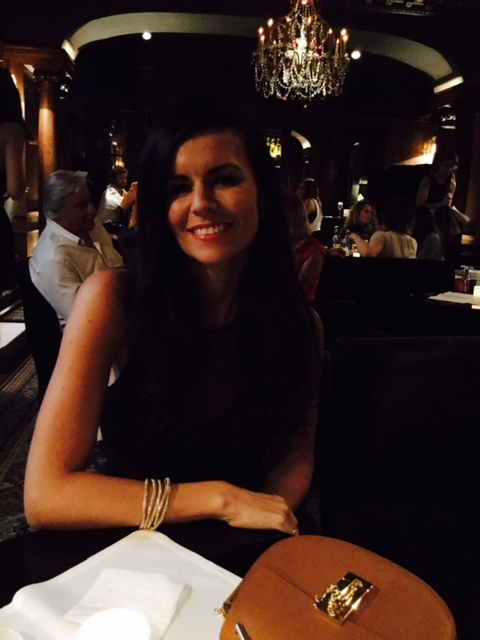 When we dined there on Friday night we had a great table overlooking the terrace which allowed us to linger over the excellent food and wine watching the assembled masses of Paris watching…their fellow diners. Dress dark but seductive, to go with the surroundings. If you want it louder, hit Kong Bar and Restaurant. Located at the other end of the 1st arr, just off Pont Neuf the in the top two floors of what was Kenzo office; we always pay a visit when we are in town. 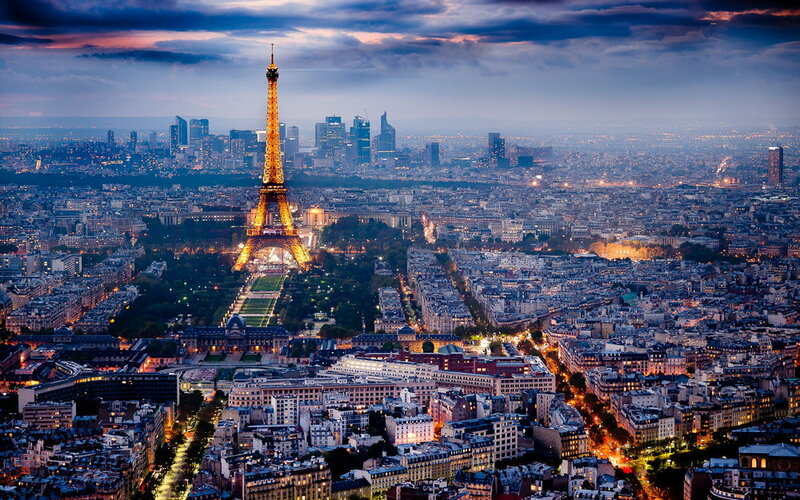 It is described as half way between Tokyo (menu) and Paris (setting and design). We love this place and were lucky enough to see in the NY2016 at Kong. 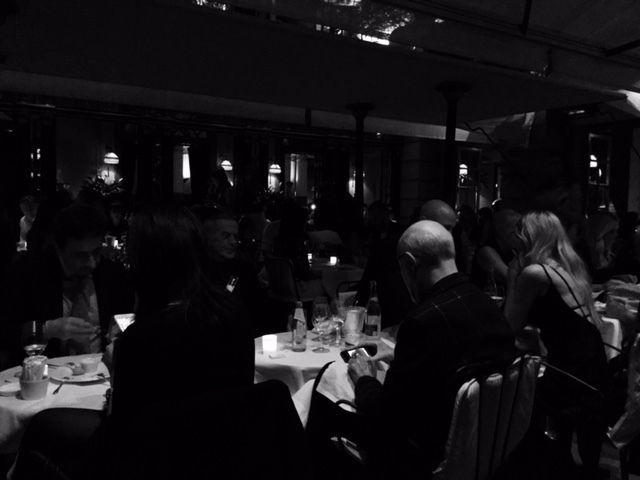 The food is fusion, the drinks amazing, the DJ super cool and the atmosphere is…MAW (model, actress, whatever). Kong has a younger crowd and so was a great opportunity for me to pull out my denim cat suit and show them I’m all over it at just turned 30…something. Get fully immac for this place; push the boat out. In my experience you cannot really be over dressed, especially if they have an event on (and they have loads of events). There you have it. Those are my pics if you want to hit the tiles in Paris. Do it. Get past any feelings of intimidation or language barriers. Get your hotel front desk to reserve you a table somewhere fabulous, and get amongst it for a star gazy night in the city of light. I did and it was immac.